Find out how to support your system so you can thrive during your treatment and minimize damaging side effects. 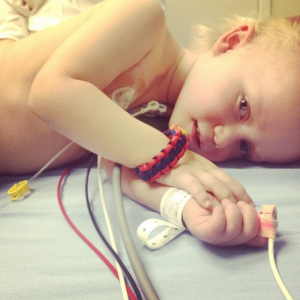 Right after my 3-year-old son, Kicker, was diagnosed with Acute Lymphoblastic Leukemia, I had a difficult conversation in the hallway outside his hospital room with a man who was pushing his little boy around in a small cart. The child was clearly very sick. He was bald, gray, and frail. Start vomiting very soon from the chemotherapy. Lose all of his hair. Probably going to need to be hospitalized for secondary infections at least 10 times in the first year. The man spoke kindly to me, and he was clearly trying to help, but I was absolutely horrified. I immediately went into “mama bear” mode, and I was determined not to let these things happen to my son. 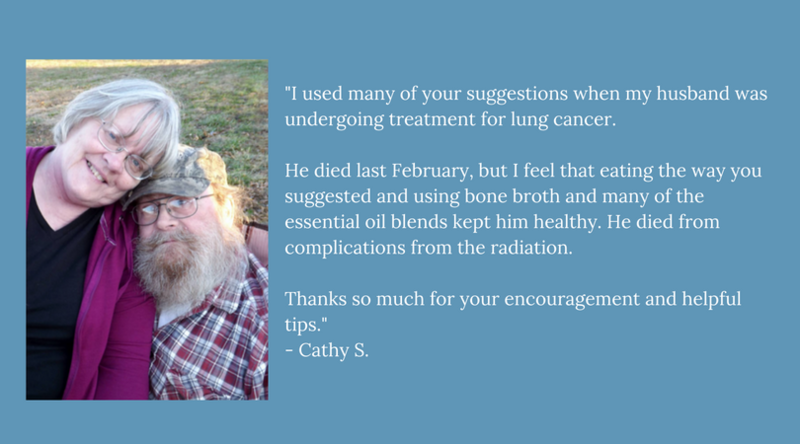 Over the next few weeks, with the help of our osteopathic physician, nutritionist, and naturopath, we devised a natural healing protocol for Kicker to try to keep him as healthy as possible during his 3-year chemotherapy treatment. We overhauled Kicker’s diet, detoxed his system, and put him on an essential oil and supplement protocol. 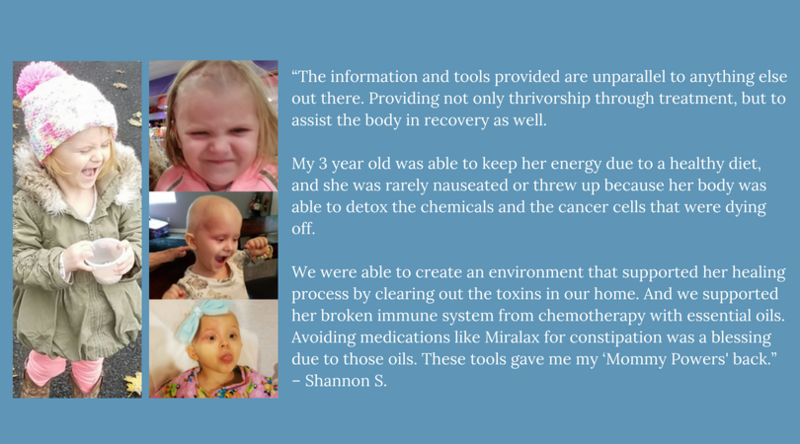 We supported him with natural medicine the entire way through his treatment. And believe it or not, our son never experienced the awful side effects of chemotherapy we were warned about. He only threw up one time during his treatment, he didn’t lose his hair, and he was never hospitalized for secondary infections. Not only did Kicker not experience side effects, he actually stayed healthy and vibrant during three and a half years of daily chemo. If you had seen Kicker playing in the park during that time, you would never have known he had cancer. In March of 2017, the doctors declared that Kicker was cancer-free, and he’s been in full remission ever since. The good news is that health and vitality like this are also possible for you (or your loved one) during cancer treatment – and it’s not as difficult and complicated as you may think. There are simple, practical, inexpensive things you can do to offset the symptoms of chemotherapy and live a full, rich life during your treatment. Do any of these describe you (or your loved one) right now? You feel panicked and frightened about your diagnosis, and about the treatment you’re about to undergo. You’re tired and you feel awful, and all you really want to do is crawl under the covers and block out the world for a little while. You’re frustrated with your doctors, because every time you bring up the idea of dietary changes or complementary therapies, they brush off your ideas and tell you not to do anything differently because nothing is going to make a real difference except the treatments they’re recommending. You’re feeling overwhelmed, lost, and hopeless most of the time. I know this time is incredibly difficult, and I’m so sorry you have to go through this. The good news is that I have suggestions that will not only make you feel physically better, they will help you fight the fear and desperation you feel right now. These ideas can be your secret weapon in your battle with cancer. Take back control of your life during your cancer journey. Take practical steps to minimize or eliminate the side effects of your treatment. See the changes you’re making actually reflected in your lab work and other tests during your doctor visits, so you have tangible proof that you’re doing better overall. Feel empowered instead of hopeless while you’re fighting cancer. Not just feel better, but actually thrive during your treatment. These things are possible, and I’ve helped hundreds of families achieve these kinds of results. Hi, I’m Season Johnson. 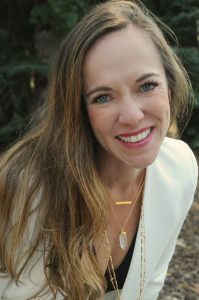 I’m a certified nutritional therapy practitioner, and I’ve been studying nutrition and health for 10 years. When my son Kicker was diagnosed with leukemia, we received amazing support from our team of alternative practitioners. 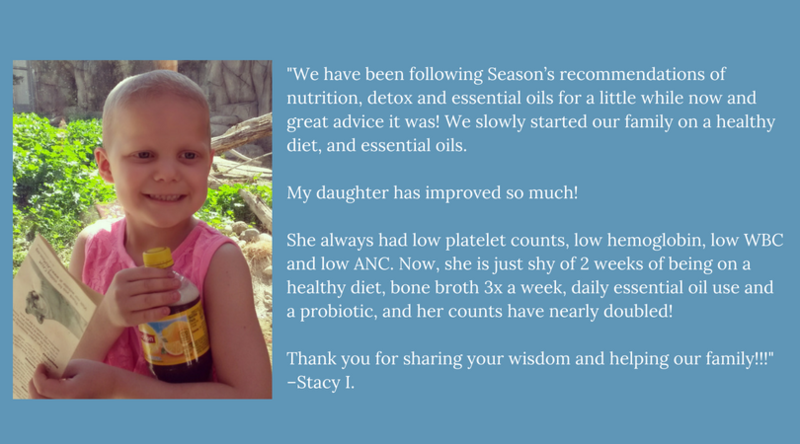 With their help, we devised a nutrition, detoxing, and essential oil protocol that enabled Kicker to thrive during his entire cancer treatment. As we were going through our journey, I was writing about our experiences on my blog and on social media. I could already give people plenty of information on eating a healthy diet, from my education as a nutritional therapist. But hadn’t yet researched some of the other tools we were using, to find out why they were working so well. 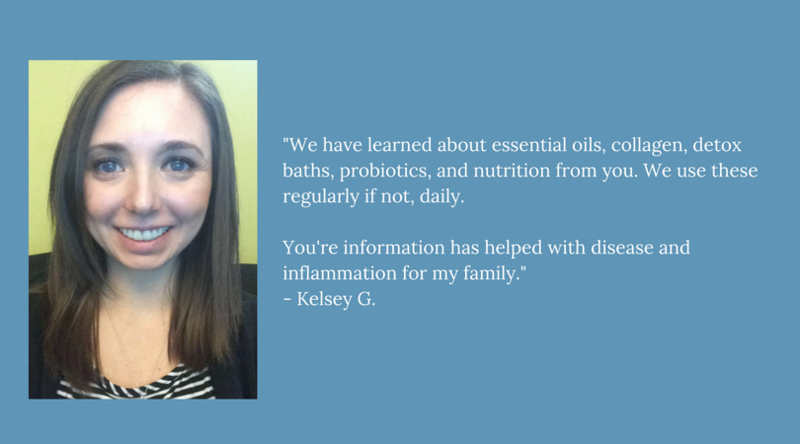 Since then, my goal has been to educate others about supporting illness, disease, injury, or chronic health problems by finding the underlying cause and bringing health to the body where it is needed. 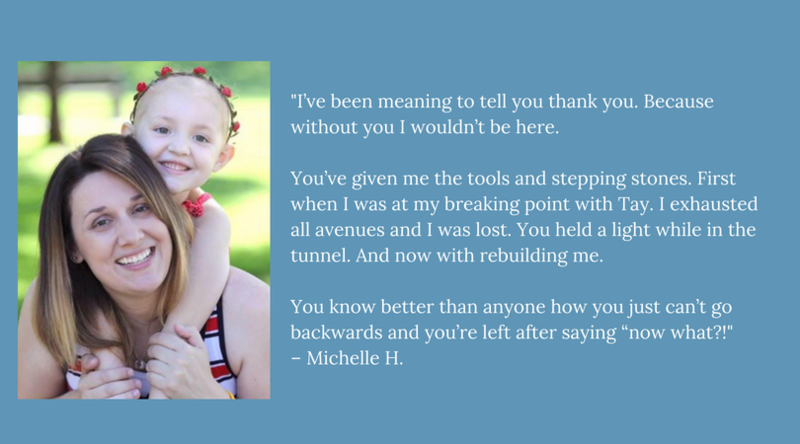 I believe our bodies are amazingly capable of restoring balance and achieving lifelong vibrant health, and I want to help other families find their way back to health when they’re on their own cancer journeys. In 2014, my family and I co-founded KICKcancER, a nonprofit organization dedicated to helping families with cancer thrive. 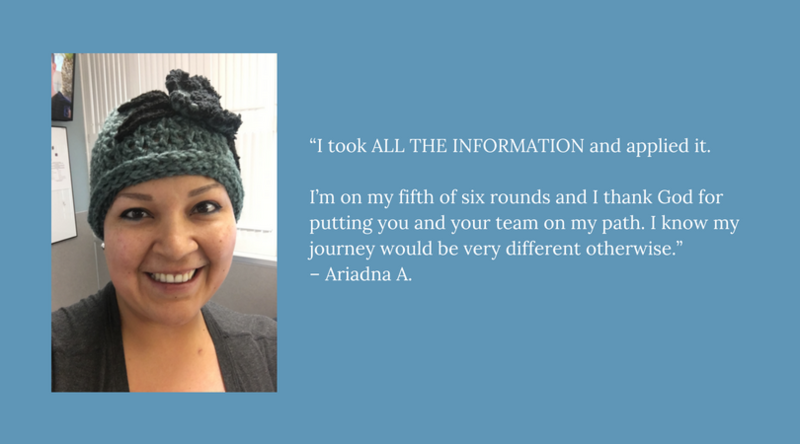 Over the past few years, we’ve helped hundreds of families through our online programs, live educational events, speaking engagements, webinars, and podcasts. 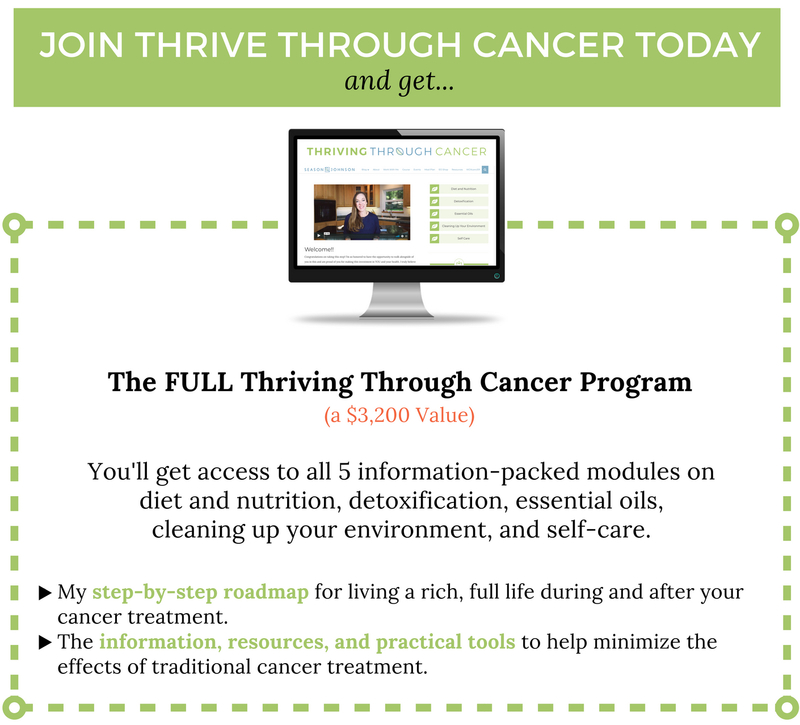 I created the Thriving Through Cancer course because I wanted to give people of all ages a step-by-step way to thrive during their cancer journeys by using real food and healthy living principles. Truth: A cancer diagnosis doesn’t mean you are going to die – it means something has gone awry in your body. That means we need to address the underlying cause of your disease to support your body in healing itself. 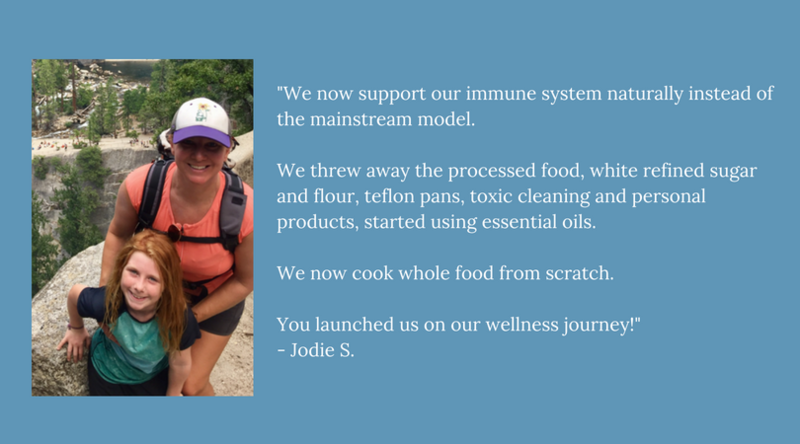 It is possible to heal your system – and we can do that by shifting your diet to include more nutritious foods, detoxing your body, and cleaning up your environment. When we support the whole body – not just parts of it – you can truly start to recover. You can also minimize the chance that your cancer will recur. Truth: You have more control over your health than you think! You don’t need to feel miserable during your treatment. There are practical steps you can take to minimize the effects of chemotherapy, radiation, and other common therapies. You can also assist your body during its fight against the cancer by directly boosting your health using natural health treatments and diet changes. Everything we put in our bodies has a direct effect on your overall health, so it’s important for you to make conscious decisions about what you’re consuming. Truth: We cannot stop you or start you on any medications, and this program is not meant to be a substitute for treatment from your medical doctors. However, it is important that you understand that doctors only learn how to treat disease with medications. It’s the only tool in their toolboxes. There is a time and place for medications, and in my son Kicker’s case, I absolutely do think chemotherapy played a role in helping him regain his health. But doctors aren’t taught anything about nutrition during medical school. Nutrition classes aren’t required to become a doctor, so the vast majority of doctors don’t know anything about supporting our systems using healthy foods and other complementary methods. We have to take our treatment into our own hands, so we can educate and empower ourselves. You can give yourself full permission to do that! Definitely! 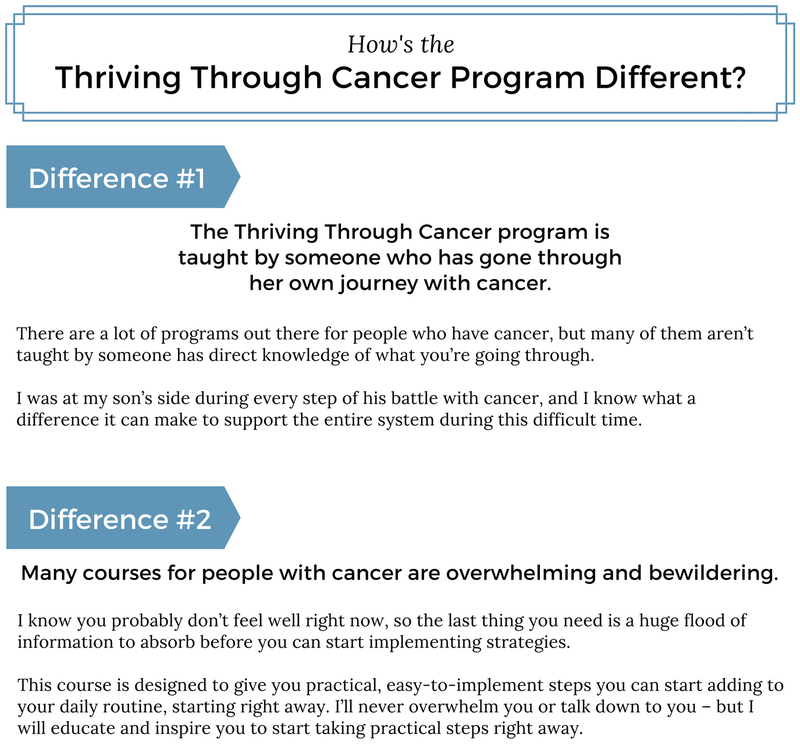 I’ve designed the course not only for people who have received a cancer diagnosis, but for the friends and family members who are supporting people with cancer. 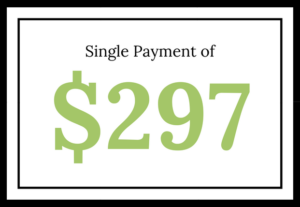 It would cost over $300 just for initial consultations with many nutritionists or other practitioners…let alone the countless follow-up appointments that would be needed to create a customized plan just for you or your loved one. 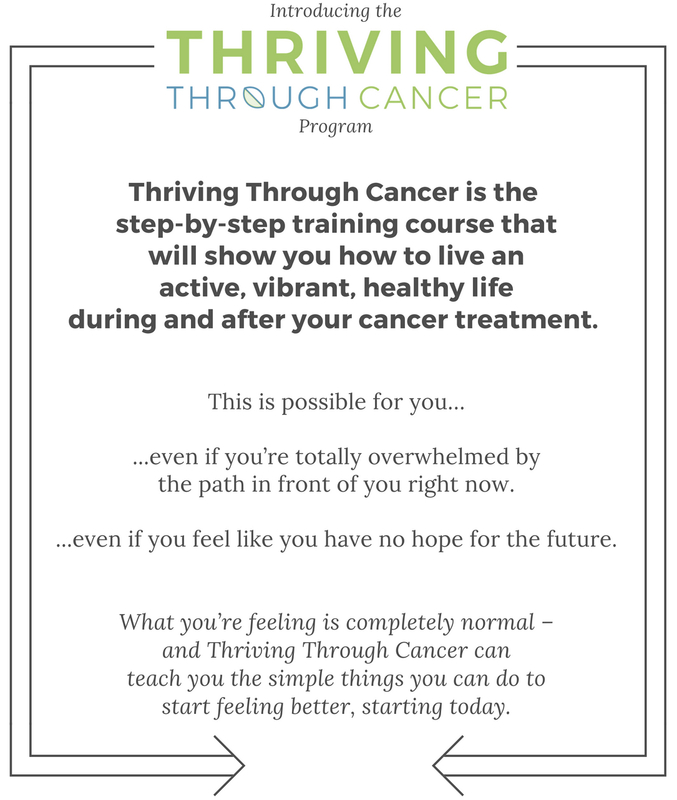 The Thriving Through Cancer course a focused, practical, step-by-step course that gives you many of the exact same recommendations you’ll get from other practitioners – at a fraction of the cost. You also don’t need to continually buy a bunch of expensive supplements to implement the steps recommended in the Thriving Through Cancer program. I’ve designed this protocol to be as affordable and practical as possible. To start with, a quick disclaimer: This program is for educational purposes only, and it’s not meant to be a substitute for treatment from your medical doctors. That said: It’s 100% okay to take control of your health by doing everything you can to support your body and combat the side effects of cancer treatment. 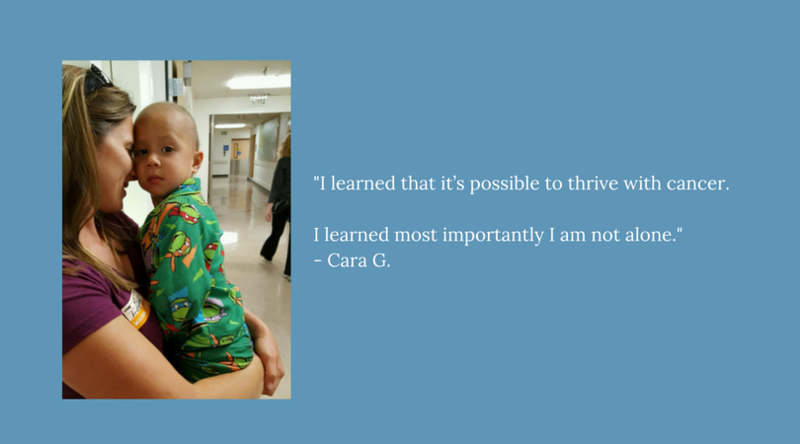 That’s exactly what we teach you to do in Thriving Through Cancer. You can go through the entire course completely at your own pace, so you’ll never fall behind or get overwhelmed. You can implement the course in tiny baby steps, and you’d be surprised at how much better you feel when you start making small changes.